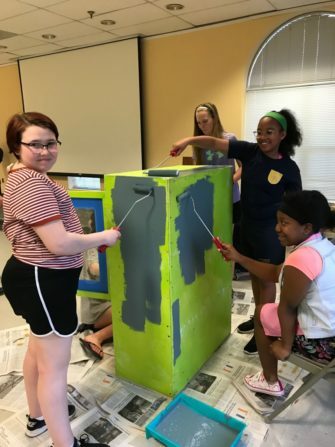 Do you remember hearing about the Hyattsville Girl Scouts who were building a little free pantry using Community Forklift materials? We have an exciting update to share! 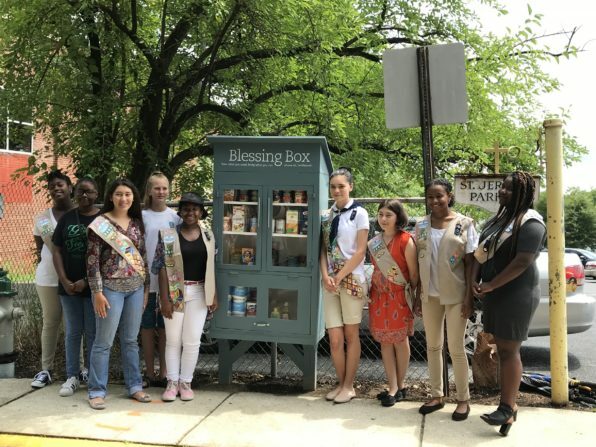 On Sunday, July 22, Girl Scout Troop 6899 opened their “Blessing Box” – a cabinet stocked with nonperishable food items for folks to take what they need, and leave what they can. They were inspired by the little free libraries that have been popping up all over town, and adapted the idea to help fight food insecurity. Anyone in need can stop by the Little Free Pantry and find items like macaroni and cheese, canned soup, rice, and toilet paper. 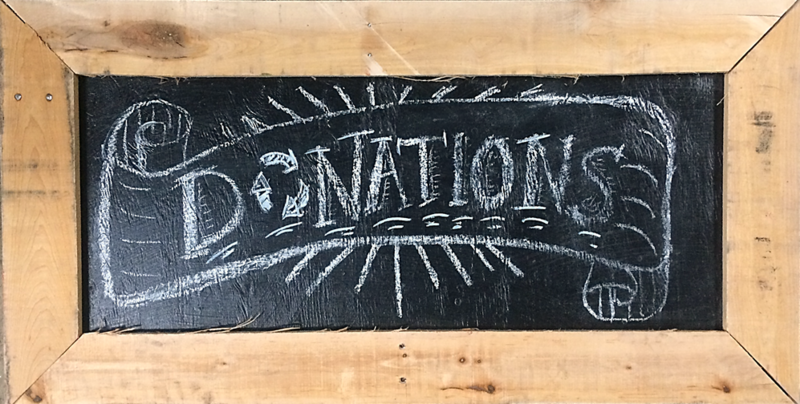 In the early stages of the project, Troop 6899 reached out to Forklift and applied for a Community Building Blocks grant to cover the cost of the materials they’d need to build the pantry. 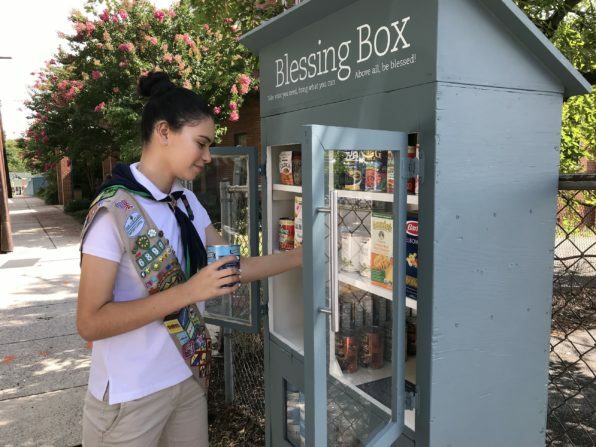 The scouts were granted store credit, which they used to purchase the cabinet and paint that would become the little free pantry. They also held a fundraiser at the Chipotle in Hyattsville, and raised over $400 to cover the cost of keeping the pantry stocked for its first few months. It’s always great to see young people striving to make a change in their own neighborhoods, and even better when they are recognized for their efforts. You can watch the video below to see a profile of their project that aired on WUSA9. 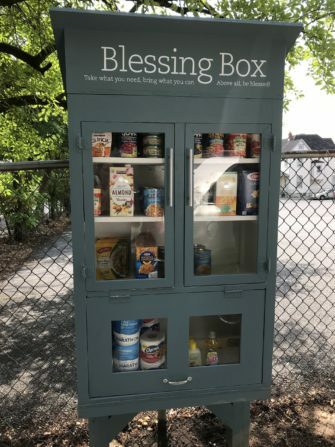 We’re always thrilled to support meaningful initiatives in our community, and we’re optimistic about the impact this little free pantry will have!